The Avus 26 is a stock electric propeller plane capable of reaching 245 m/s in level flight. In a dive the plane can reach speeds exceeding 340 m/s. Every Propeller is powered by 10 large and 54 medium reeaction wheels, Ly-05 landing gear is used as bearing. I think this might be the fastest landing-gear bearing electric prop plane at the moment (please correct me if I’m wrong). 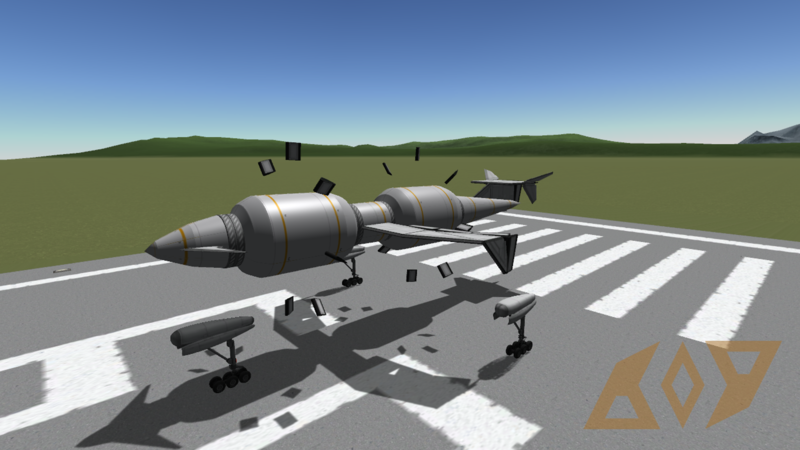 It’s fast, but it also is heavy and very difficult to fly. A stock aircraft called Avus 26. Built with 336 of the finest parts, its root part is fairingSize2.